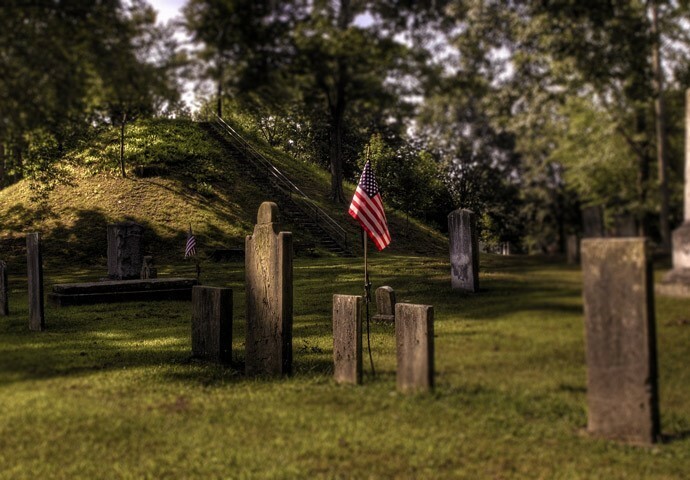 ﻿ Mound Cemetery - Ohio. Find It Here. Older cemeteries like our Mound Cemetery have a large amount of gravestone symbolism. Some of it is apparent, while others hold hidden meaning. Discover interesting grave markings hidden throughout this walking tour of our most famous burial ground. Take a tour of Marietta's most historic cemetery. Hear tales of the 2,000 year old Adena Mound and Marietta citizens who changed our nation's history.